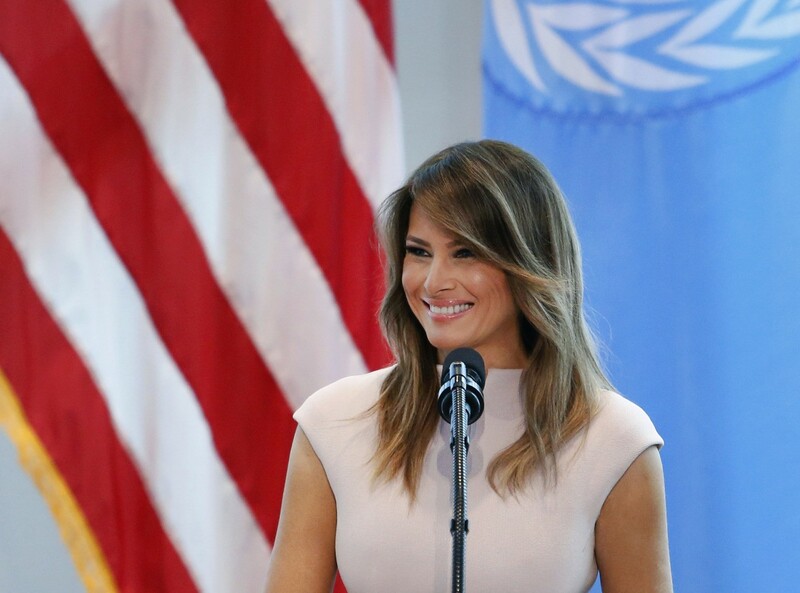 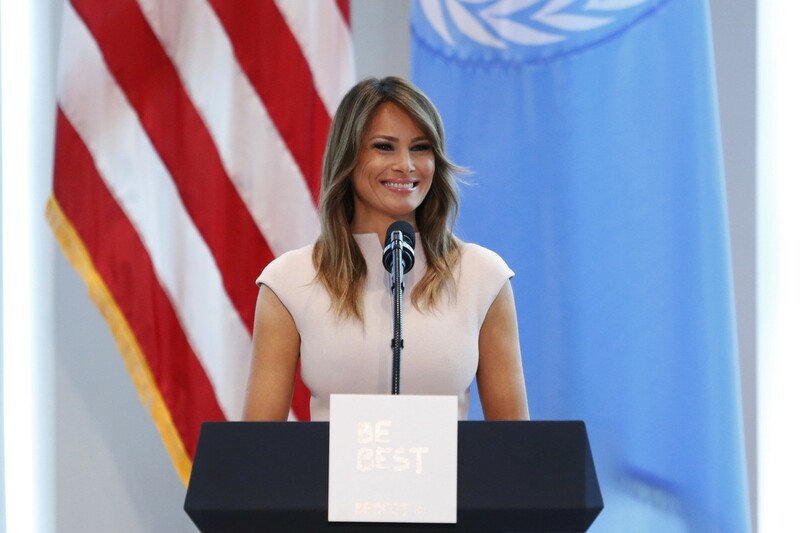 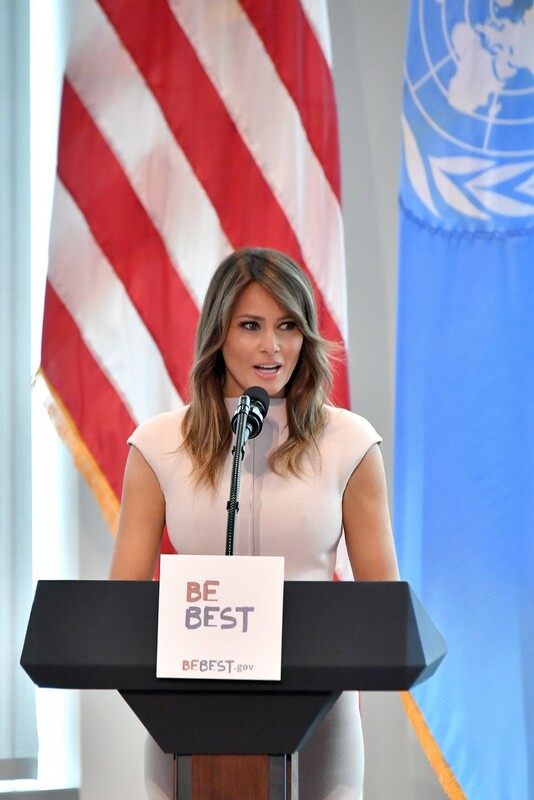 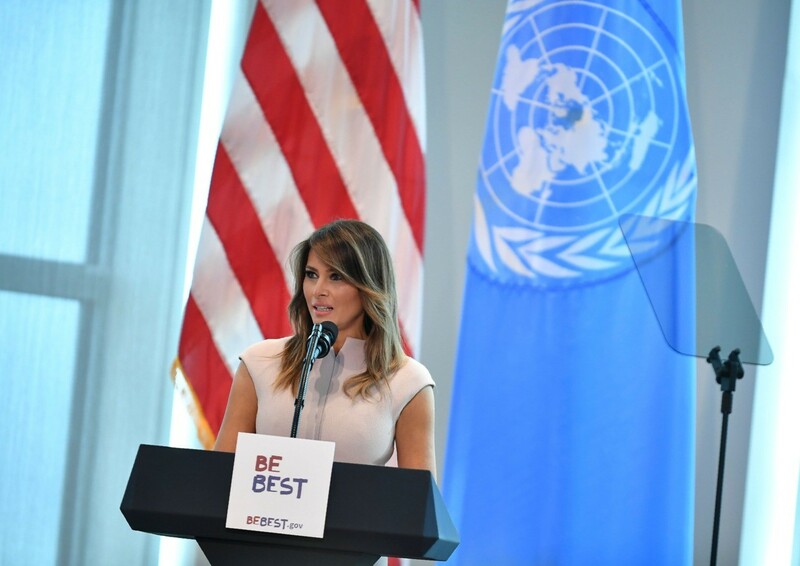 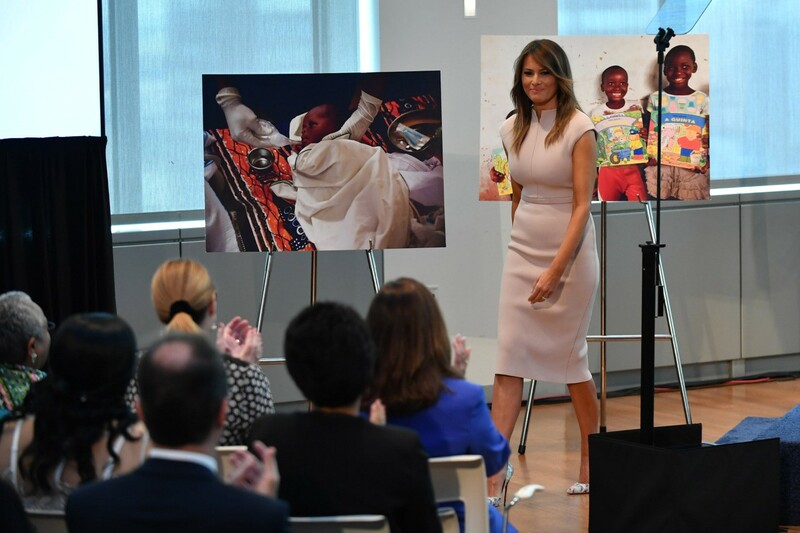 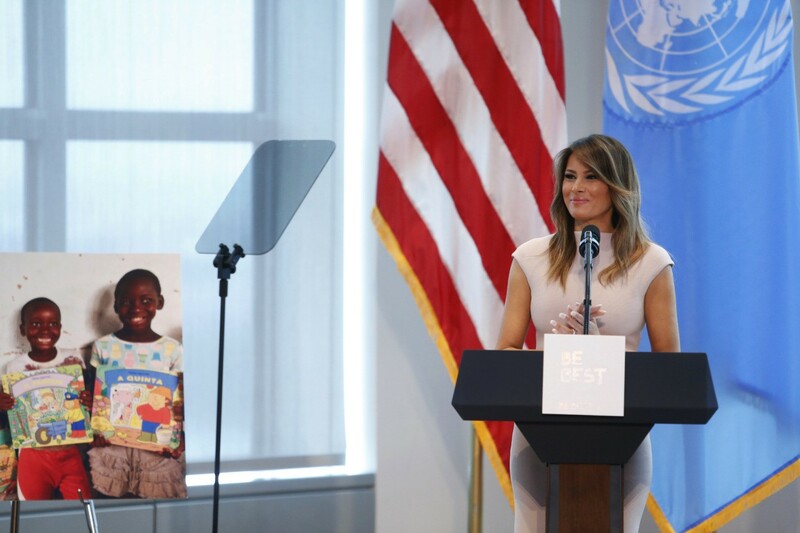 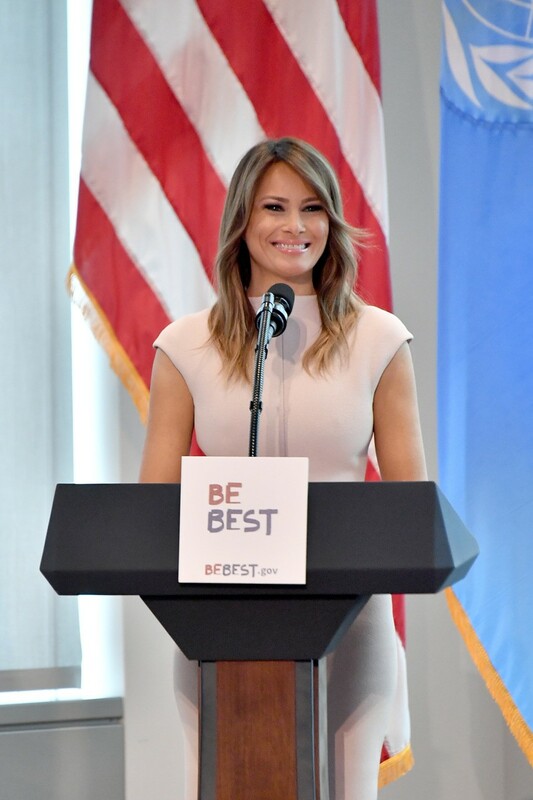 First Lady Melania Trump stunned at the United Nations (U.N.) in New York City, New York on Wednesday as she delivered a speech about her highly-anticipated upcoming trip to Africa. 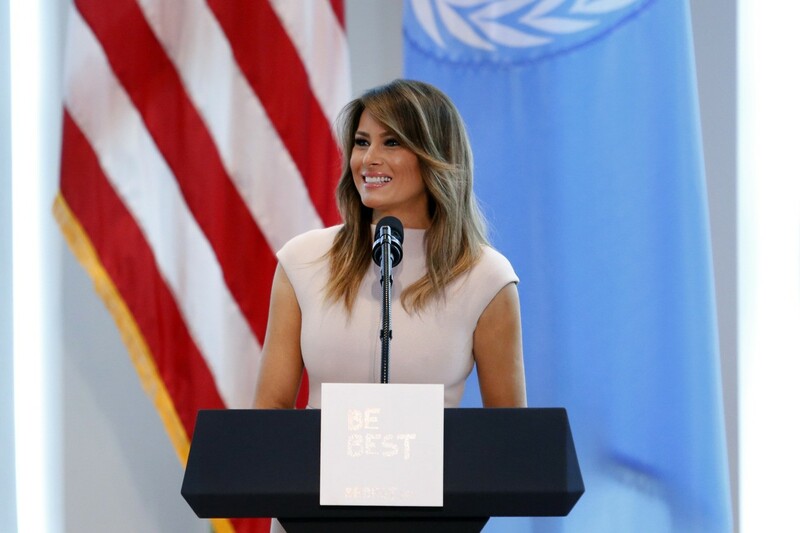 Mrs. Trump kept it sleek and modern for her speech at the U.N., wearing a tan crepe knit cap sleeve dress by Australian brand Scanlan Theodore. 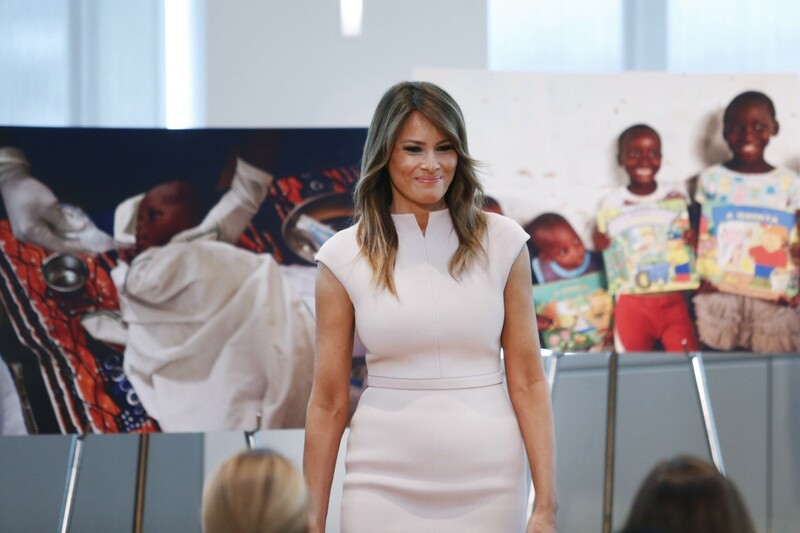 The dress features a fitted bodice, a waist seam, a tie in the back, and a high neckline. 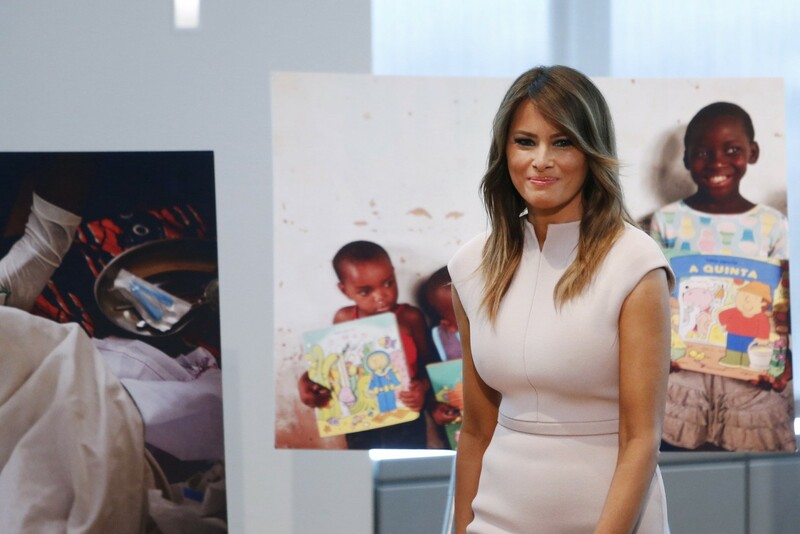 The Scanlan Theodore number retails for about $600. 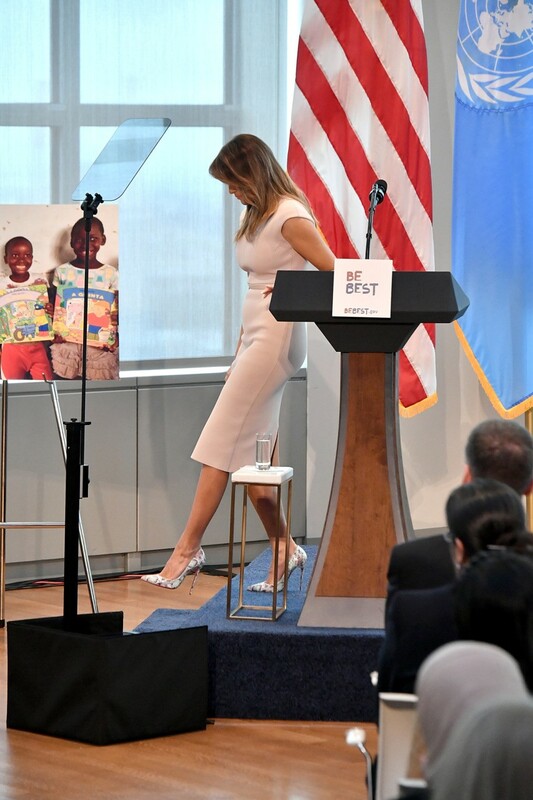 Mrs. Trump paired the dress with one of her favorite pairs of floral Christian Louboutin stilettos, adding the perfect pop of color to this simple yet fierce look.